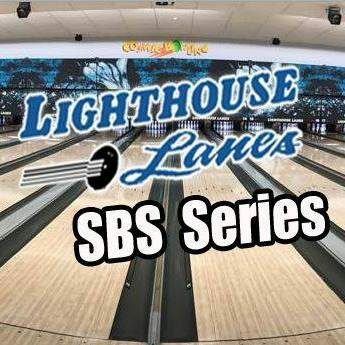 OSWEGO, NY – The Lighthouse Lanes SBS Series held their first ever fundraiser this past weekend at Lighthouse Lanes in Oswego and things were pretty successful for the series first crack at it. Hundreds of chicken dinners were sold in support of the new club founded by Mike Bruce, which will see events at both the Evans Mills and Spencer Speedways this June with more to be added. Bob Garafolo and Jim Eckert of ‘On the Brink’ played from 7-10pm and were a big hit as were all of the door prizes and raffle items throughout the evening. Two lotto boards, over a dozen raffle items, and many door prizes were on hand as part of the fundraiser. A full list of winners is listed below. With a little extra support and extra funds to put a purse together for the first two shows, Bruce and Proud now look ahead to the series inaugural event on June 18 at Evans Mills Speedway. Wine and Perfectly Posh: John S.
A potential driver roster for the first two Lighthouse Lanes SBS Series shows is available below. 71 – Ray Sand Jr.
To receive the latest updates from the Lighthouse Lanes SBS Series in regards to the upcoming fundraiser, races, and more, LIKE Lighthouse Lanes SBS Series on Facebook or FOLLOW on Twitter @LHLSBSupers. A new website, LighthouseLanesSBSSeries.com, is also in the works and will be available later this week.